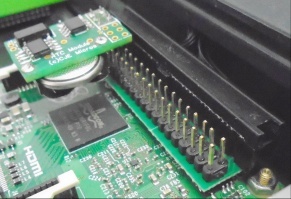 Connects to a Pi inside a pi-top via an included GPIO I/O shim. The temperature sensor shows the ambient temparature around the sensor, not the CPU core temperature. Price: £22.00 no VAT to pay!